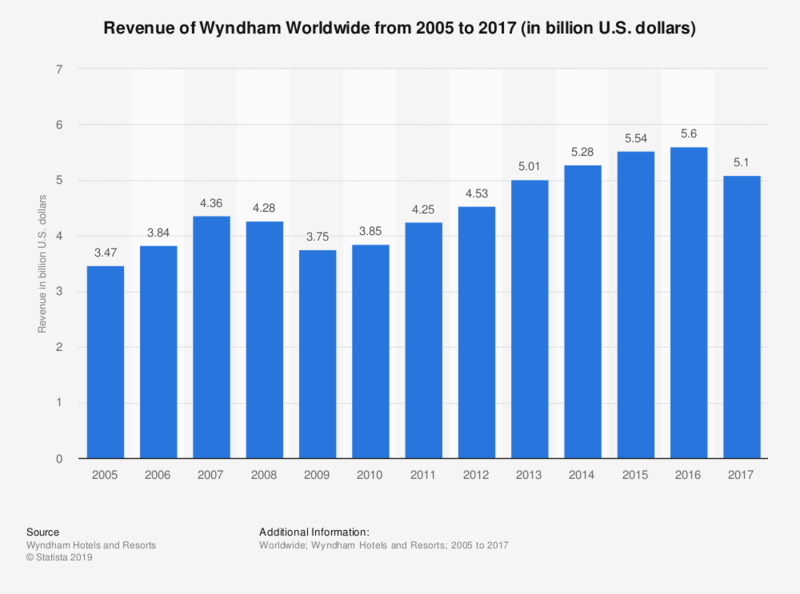 This statistic shows the revenue of Wyndham Worldwide from 2005 to 2017. Global hotel company Wyndham Worldwide Corporation generated approximately 5.1 billion U.S. dollars in revenue in 2017. During the third quarter of 2017, Wyndham Worldwide decided to explore strategic alternatives for their European vacation rentals business, which was previously part of the Wyndham Destination Network segment, and in the fourth quarter of 2017, they commenced activities to facilitate the sale of this business. As a result, from 2017 onwards all results and information presented exclude the European vacation rentals business unless otherwise noted.